Artists and Art Lovers Inspired Here! Las Vegas Art Studio Tour 2016 – You are invited! Tenor Marco Vigil performed the second in a series of “Words and Music” concerts here in Las Vegas on Sunday, May 8. Marcos is a singer and musician that grew up in Las Vegas, went to school here, studied music at Highlands University, then left for New York City to launch a career as a successful tenor. (More information on Marcos below). He will be returning to Las Vegas occasionally to perform in and produce a variety of musical events for the people of his home town. He has been drawn back by the exciting news of many good things happening here and wants to contribute to the creative spirit that is reenergizing the town. Marcos is a model for the kind of talented individuals who are creating the future of Las Vegas. Like others, he is originally from here, but has made a conscious decision to return to (or stay in) Las Vegas and produce important work here. Be prepared to be astounded. Join Marcos Vigil as he is accompanied by pianist Linda King for an afternoon of beautiful Words and Music. Meet Marcos after the concert at a reception in the Atrium. Please plan to pay at the door. If you reserved your seats online, we will have a VIP list at the event! We look forward to celebrating Mothers Day with you! Tenor Marcos Vigil has performed the role of Prunier in Puccini’s La rondine with Prelude to Performance, as well as the role of Beppe in Donizetti’s Rita, where Opera News hailed his performance as “a comedic and vocal tour-de-force”. He has performed as Don Eusebio in Little Opera Theater of New York’s production of Rossini’s Opportunity Makes the Thief. 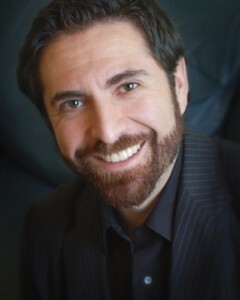 Other roles include Don Ramiro in La cenerentola with Capital Heights Lyric Opera of New York, and Count Almaviva in Il barbiere di Siviglia with Opera Company of Brooklyn. Future engagements include King Nebuchadnezzar in Benjamin Britten’s The Burning Fiery Furnace with Opera Brittenica in Boston.